All funds raised will go directly to ABLE ADVOCATES . This last year was an emotional year on many families including our own. Multiple children in our program passed away this year which left our community in a dim light. Our children are beacons of light guiding the way for hope and we want to continue to fuel this light with love and support. It is our pleasure to announce that for 2019 we are launching our newest design “Selfless Spirit” for one of the most important angels we will continue to remember. Nathan White, the founders son, was 9 years old when he passed away last October and this design is in his honor. He was a child that taught us patience, humanity, and put all needs before our own. Each hardship that Nathan endured was a teaching moment and opportunity to make a difference for other families receiving services through Able Advocates. This shirt conveys more than just awareness for Able Advocates. 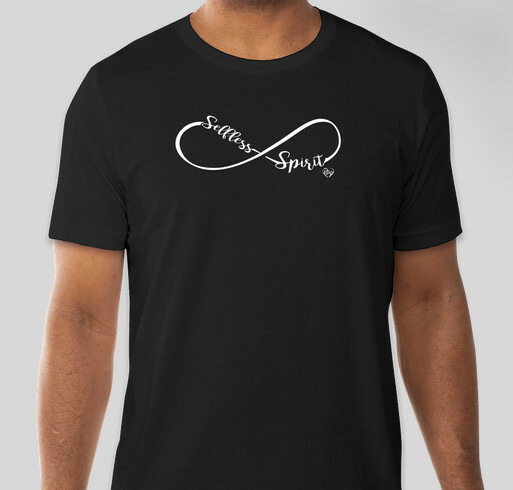 The Infinity sign symbolizes eternity, empowerment and everlasting love and the saying, “Selfless Spirit” represents the children who have left us too soon and gave more to this world than they could have ever imagined. This shirt order will be going from now until his birthday on February 3rd. At the end of February we will pick a day to wear in honor of Nathan’s birthday and the inception of Able Advocates. Without Nathan, our incredible journey, Able Advocates would not be what it is today. Thank you EVERYONE for the undying support during this very personal run of ours and we hope you will wear this in his honor for years to come. Able Advocates is an extraordinary organization. I am proud to support them. I admire their philosophy and hope to see more organizations like it in other cities and states. Nate was special to many of us and he will never be forgotten. They landed my son a wheelchair stroller when we really needed it. We are forever thankful. Share Why You Support "Able Advocates"